Oh, hello there! Long time no see, my friends! I’ve been travelling a lot the past few weeks and have taken a break from social media, so I haven’t been online very much. While I was away I rediscovered the wonderful world of Netflix and actually managed to do some chores around the house. Now that my mind has calmed down, I feel like it’s time to kick some life back into this blog. I’m starting back up with an easy post. These photos look like they were made in fall, but they’re actually pretty recent (if you can agree that late January is ‘recent’). K and I went for a walk in a nearby park and came by a lane where the light was just so incredibly soft, warm and beautiful. 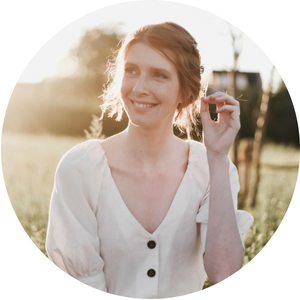 It’s rare to get such perfect natural light for blog photos in the Belgian winter, so of course we had to snap a few! It didn’t matter to me that I was wearing leggings as pants again, haha. Leggings are awesome. I usually wear these J.crew pixie pants when I travel, but I’m not scared to go out in public wearing them either. They are very thick and when paired with a long cardigan or top I really can’t see why it would be an issue to wear them instead of regular skinny jeans. These are so much more comfortable! The rest of my outfit consists of wardrobe staples. I love my cardigan so much that I bought a second one in black and the silk blouse has made numerous appearances on my blog since I got it last summer. My booties are a new addition. I had them on my wish list last year and finally decided to snag ’em up during a recent sale. They make me feel a little like a rock star. My life has been a whirlwind lately. I’ve been in The Netherlands, Austria and Germany recently and I’m off to Paris with one of my best friends this weekend. I think I’m going to need a vacation after all of this vacationing, haha. In April my boyfriend and I want to start planting our garden so we can enjoy it in the summer. We also need to pick up our renovation plans again because we failed to do much after the Holidays. Somewhere in between I’m also trying to organize my birthday party and finally have a housewarming party for my colleagues… . I need 72 hours in a day, haha!